“Hey Shorty!” chronicles a group of young women of color who successfully organize to increase safety for girls, women, and LGBTQ individuals living in New York City. The project was spearheaded by the Girls for Gender Equity, a Brooklyn-based grassroots organization, and written by Joanne N. Smith, Mandy Van Deven, and Meghan Huppuch. The authors spoke to numerous girls in the New York City public schools and it became apparent that one of the largest obstacles to success was sexual harassment. And when they found that the student leaders were ready, interested, and willing to devote time toward combating sexual harassment in their schools and communities, it was as if someone had whispered, “You are in the right place.” So, they pushed forward. GGE formed a NYC-wide student group called “Sisters of Strength” that relied on a unique model: They put students in charge of creating a direction for the group, determining its activities, and distributing information on and executing its projects with an intense focus to not only improve girls’ lives, but also using their experiences as a driving force. GGE staff and interns served as a source of institutional support for their vision, but let the girls take the lead. The girls led an outburst of strength and a handful of effective actions that led to change. Achieving change in New York City public schools was not an easy task– especially since GGE’s focus was on change resulting from Title IX enforcement. And it was nowhere to be found: Title IX requires schools to create and distribute policies on sexual harassment and make sure staff is in place to properly handle reports, but the first time GGE reached out to the Title IX Coordinator for the first district they tackled, they found that she wasn’t even aware it was in her job description–and she didn’t know what Title IX was! This meant they needed to raise awareness and increase support for their vision. They needed to start eradicating sexual harassment in their classrooms, instead of in their Principal’s offices. And GGE was in the right place. 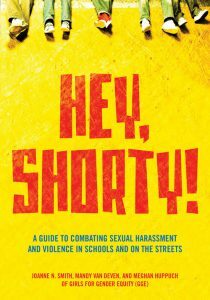 For anyone organizing on campuses or in their own communities, “Hey Shorty!” is your place to start. This is where you can make changes because you can be the change-maker in your community. Making change where you are. That’s something you always have the capacity, the knowledge, and the connection to do. If you’re looking around your school, in your city, or your church and you see something you want to change, this is your place. This is your time. And when that time comes, and you’re in the right place, you will find that “Hey, Shorty!” is an invaluable piece of work. Within each short story lies a lesson or a reminder of how valuable it is to listen to members of your community when you’re organizing, and give a voice to the underrepresented, the silenced, and the quiet members, too. “Hey, Shorty!” will lift you up when you hit obstacles and show you that there really is always a will and a way. It will lend insight into how to circumnavigate your campus and how to rally your troops. 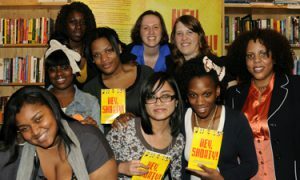 This summer, the authors and teen activists will begin Hey Shorty! On The Road North American tour to encourage young people to advocate an end to gender-based violence in their schools and communities. 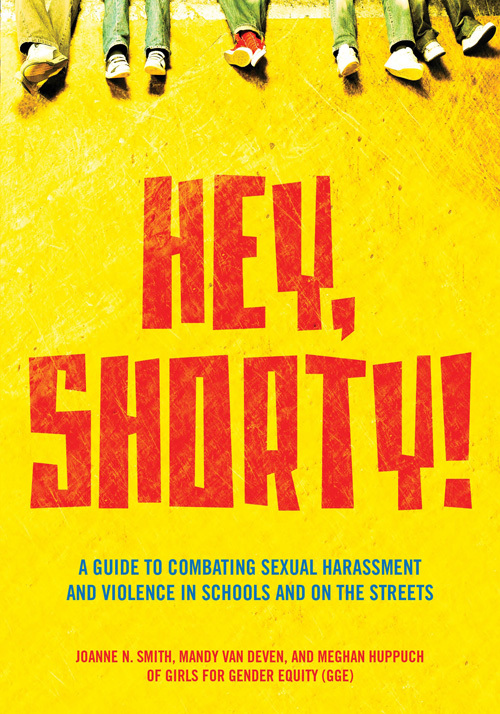 You can also donate, buy a signed copy of the book, or ask for an in-person visit at your school or organization by visiting http://www.indiegogo.com/heyshortyontheroad.